Women’s stylish Leopard print jacket from Jones New York. Features a three button closure with side seam pockets and a slightly fitted waist. 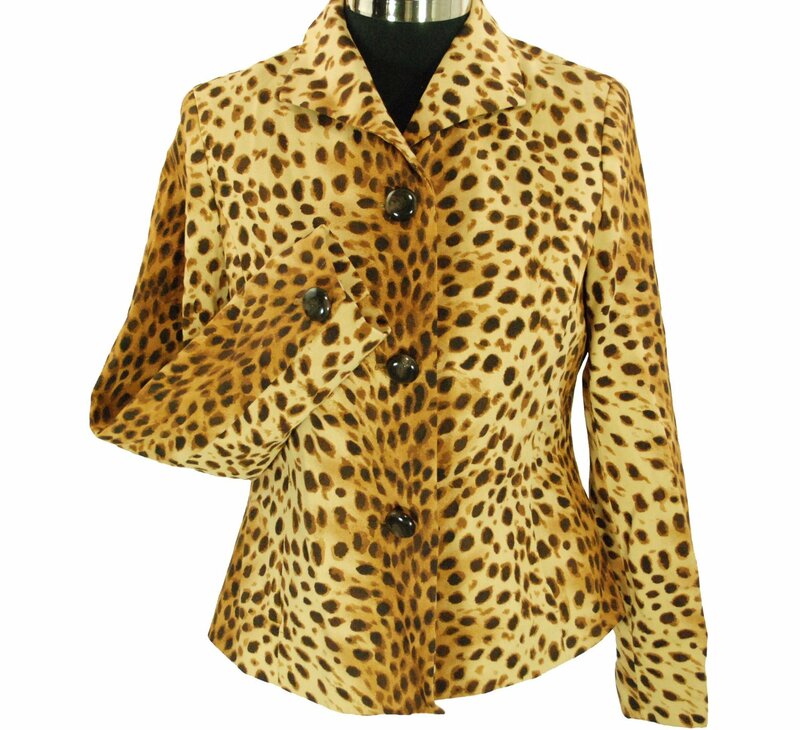 A timeless and classic addition to your wardrobe, this animal print jacket will be awesome with jeans and solid pants.